As an Executive Vice President and Director, Office Services with Colliers International, Miami - Coral Gables Steven Hurwitz represents a portfolio of nearly two million square feet of office space throughout the South Florida region, handling both landlord and tenant representation for large institutional firms, private equity companies and local business. 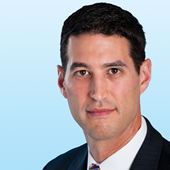 Douglas Okun is an Executive Vice President with Colliers International, supervising and leasing of a variety of office properties throughout South Florida. He has represented clients including RREEF, Zurich, Colony Realty Partners, Brookwook, ProMed/GazitIn and Resorts World Miami and has extensive experience partnering with clients’ tenant representation needs. Prior to joining the industry, Douglas worked at Deloitte and Touché in New York City, in the Financial Advisory Services group and Assurance and Advisory Services practice.